The Head hunting & HR agency for sale was founded in early 2014. The main activity of the personnel recruitment agency / business for sale, is the placement of staff on international markets. The agency is registered within the Working Inspectorate in Romania. The company is a profitable one, and has no debt. The firm ins not registered as VAT payer. 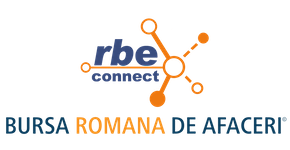 It holds contracts with the largest recruitment agencies in Romania and England. The business is profitable, charging commissions from partners after human resource placement. We own and manage a database of candidates. We can provide client’s testimonials by requests.